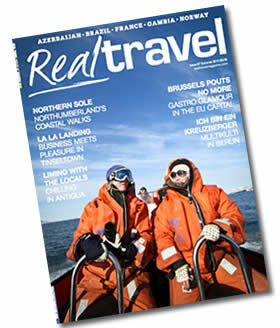 Welcome to Real Travel Magazine. Our objective is to inspire curious readers to seek out new experiences by exploring the world, intelligently. 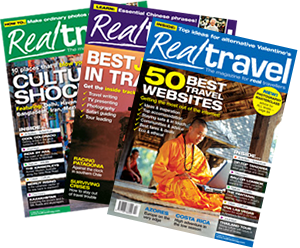 The magazine is now being run by a co-operative of leading travel writers and photographers and we will be rolling out our expanded print and digital versions of the magazine in 2015. For further information click here. In the meantime we hope that you will enjoy the latest issue of the new magazine. Residents of Copenhagen’s hippy enclave of Christiania have finally reached an agreement with the Danish government over their future. But is Europe's free city really free? A chat with a man determined to visit Mexico's most dangerous towns to prove the country is as safe as ever to travel in. A drive through the Smokey Mountains before sitting down to the dinner table at North America's most smashing foodie resort, Blackberry Farm. A walk on the wild side of Northumberland — craggy coast, windy hills and handsome local pubs. We take to the islands to explore Caribbean time, learning what life is like when you're liming with the locals. Our food critic heads to the little-known Ardèche to investigate the ins and outs of the region's annual chestnut festival. Can Brooklyn's hipper-than-hip neighbourhood of Williamsburg save itself from yet another round of gentrification? Staying with local families, exploring rural culture and learning as much about Azeri music as we can. We test our taste buds on the streets of the EU powerhouse city for a Brusselicious time. Our man on the ground explores the back alleys of Berlin's Kreuzberg to find out what makes multicultural Berlin tick. Readers stories, essential gear, interviews, hotel reviews and much more! For past issues and the old website, please click here.